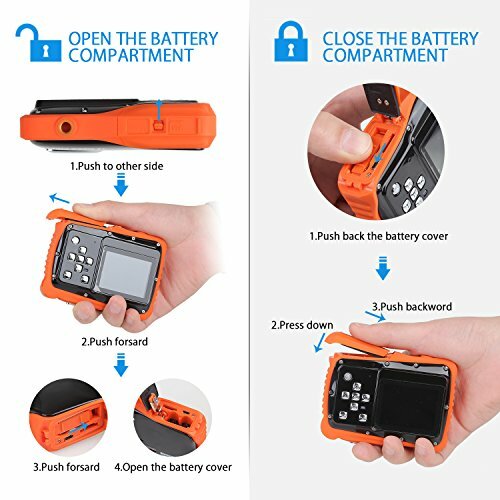 [Fantastic Gift for Kids] Lovely cute design and mini size, good waterproof performance, and super easy operation, this kids camera is a perfect summer and birthday's present for boys and girls who love outdoor activities and water sports. Let your kids fully enjoy fun of photo-taking in the summer vacation. 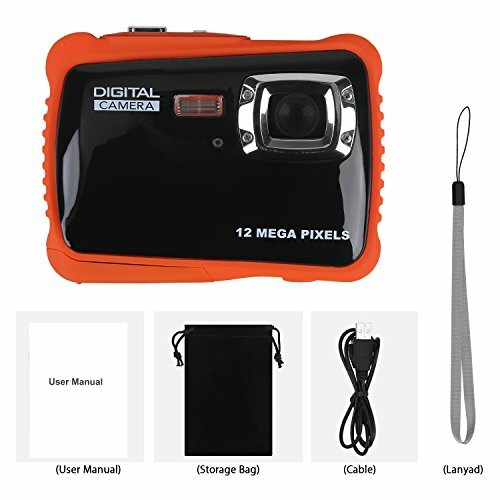 Buy Kids Waterproof Camera, Digital Underwater Camera for Kids, 12MP HD Underwater Action Camcorder for Boys and Girls with 3M Waterproof, 2.0 Inch LCD Screen, 8X Digital Zoom, Flash and Mic (Black) at Discounted Prices ✓ FREE DELIVERY possible on eligible purchases. 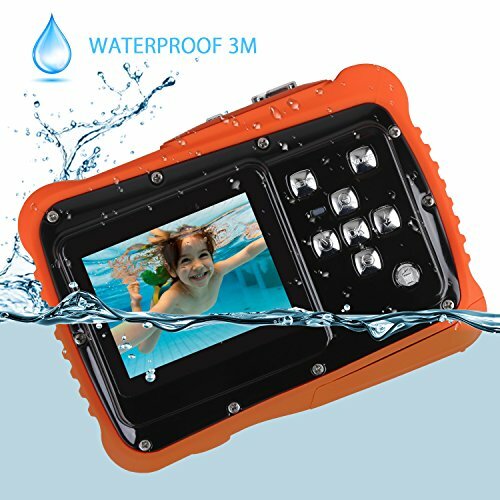 [3M Waterproof Design] Up to 3M waterproof performance, this kids underwater camera is suitable for all kinds of water activities like snorkeling, and diving in the summer. 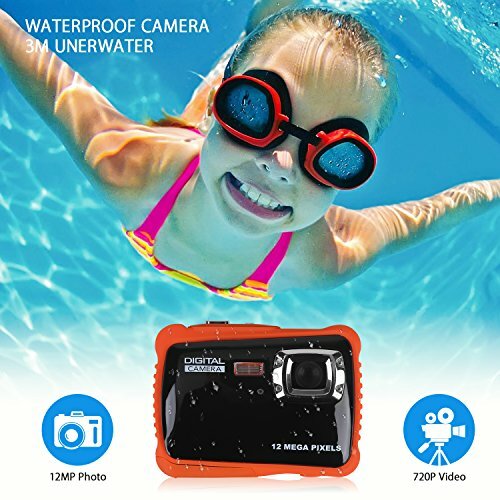 This kids waterproof camera works well underwater so kids is able to take wonderful pictures and record brilliant videos underwater. [High Quality Images] Kids can take 12MP premium quality photos and 720P HD videos with this kids digital camera. Flash function makes it possible to capture clearer pictures at night. 8x digital zoom is good for seeing further. 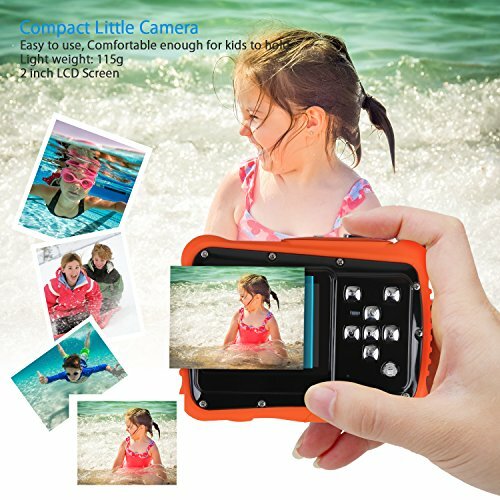 This kids digital camera allows your kids to love photo-taking and record all wonderful memory in their surroundings. 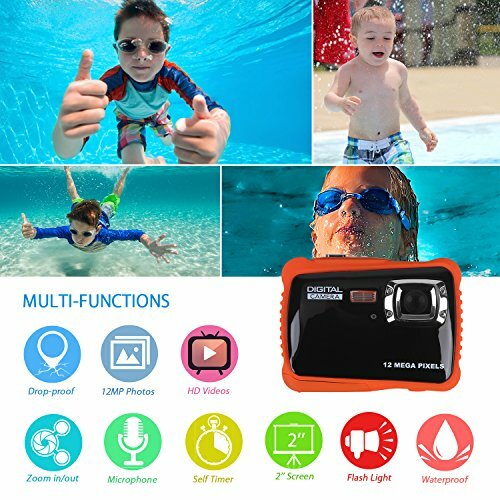 [Mini Size & Light Weight ] Small size(2.0 inch) and light weight(2.8 ounces), it is convenient for kids to carry this digital waterproof camera to take pictures and videos anytime anyplace. 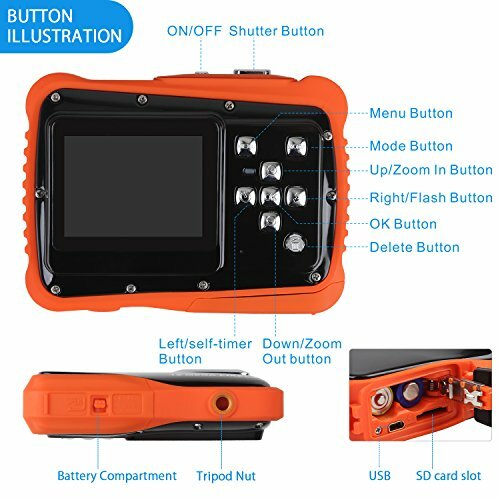 We provide a 1 year warranty for this kids waterproof camera and lifetime technical support for it.